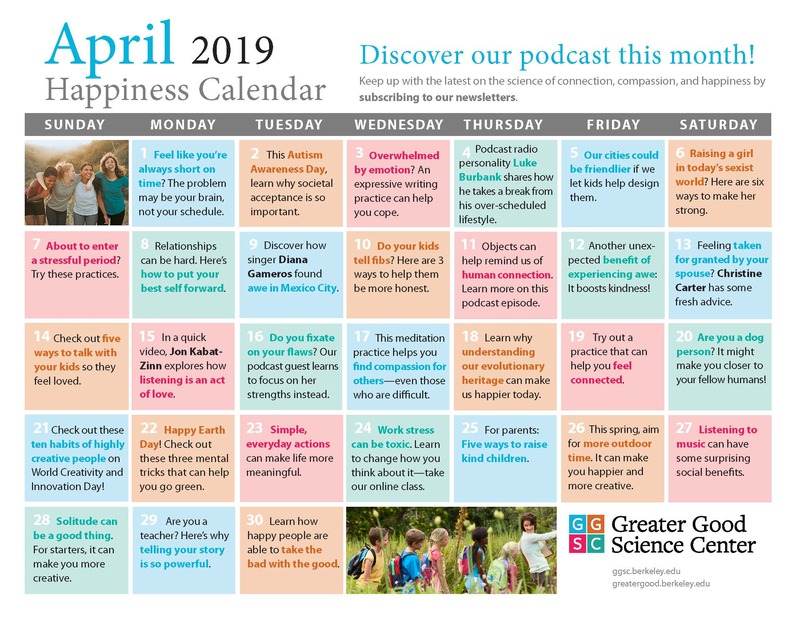 Our monthly Happiness Calendar is a day-by-day guide to well-being. It can help inject a bit of happiness into your everyday life with videos, articles, practices, podcasts, and other content from the Greater Good Science Center and beyond. This April, we’re celebrating Earth Day and World Creativity and Innovation Day, along with offering tips to help you find connection, get creative, raise a strong girl, and take a break from your hectic life. To open the clickable calendar, click on the image below.